Where will I receive treatment? The Restorative Dental Team also provides diagnoses and treatment planning services for General Dental Practitioners who require support for their patients. In addition, the team also works closely with colleagues in other dental and medical disciplines to provide care for patients with the most complex health problems. 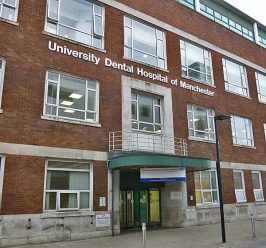 If following assessment, patients do not require specialist care they may be offered treatment by Student Dentists, Student Therapist /Hygienists or Postgraduate Students as part of the University Dental Hospital’s teaching /training programmes. The Restorative Dentistry Department is open Monday to Friday 9.00 am to 5.00 pm. Admission is via referral from a General Dental Practitioner. During treatment, patients need to continue to be registered with their general dentist and thus referrals from General Medical Practitioners for specialist dental care are not normally accepted. The majority of patient care is provided on an outpatient basis. 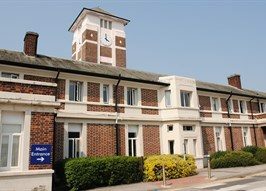 A small number of patients are managed as day case patients at Manchester Royal Infirmary.